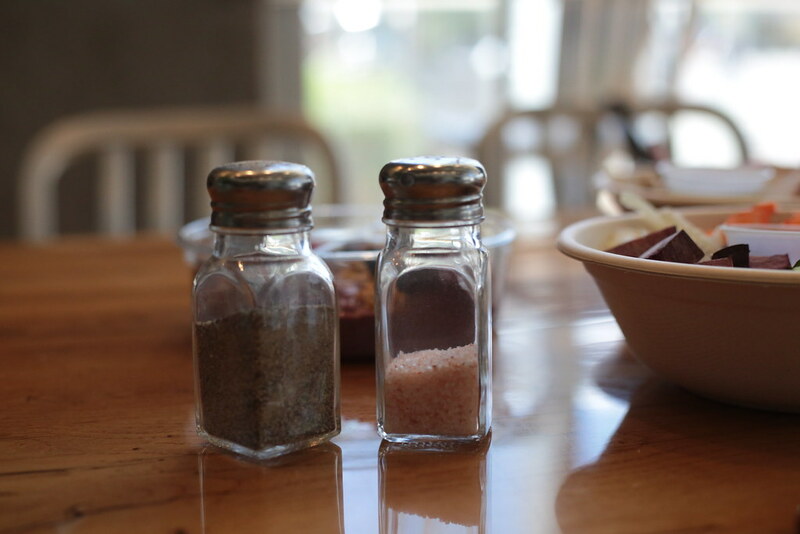 If you never stopped for a moment to think about what you’re eating… we highly recommend it. That’s where The Bodhi comes in. 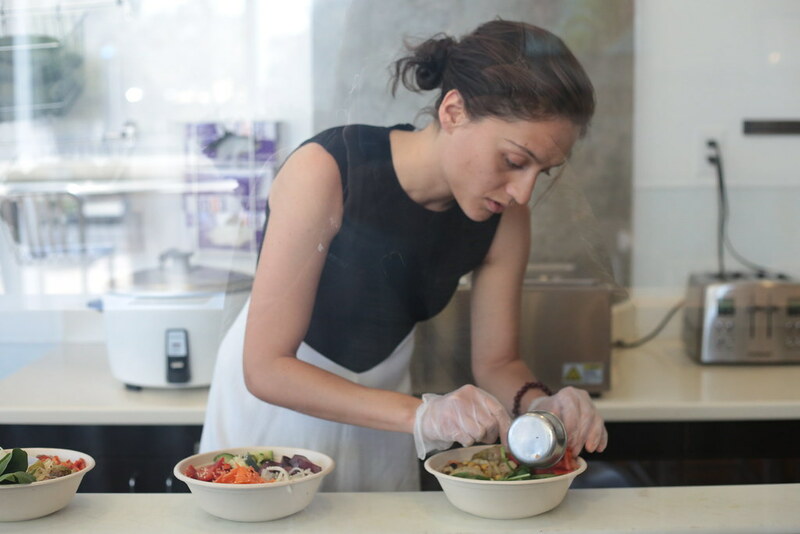 Nutritionist and managing partner Sasha Bayat came to The Bodhi with a passion that stems from personal experience, at a young age she had a stroke brought on by chiropractic work and really began to think seriously about her health. The Bodhi is like if GOOP opened a restaurant that was accessible to everyone and actually tasted good. 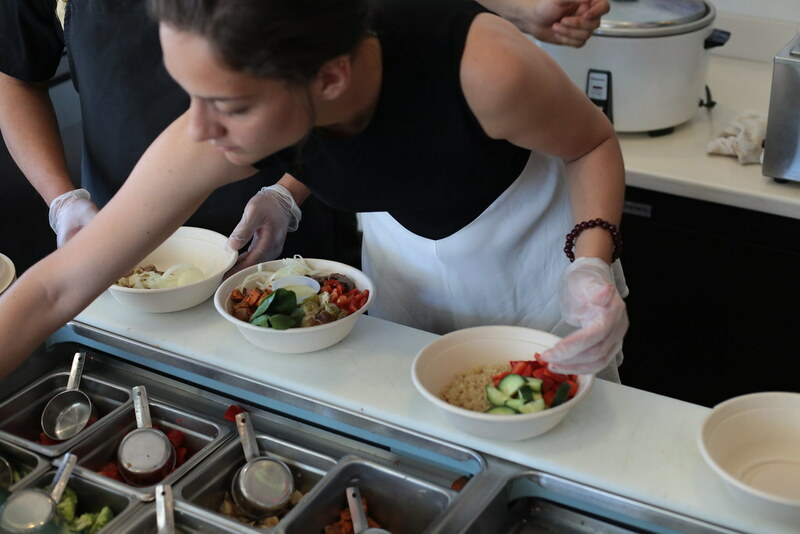 Not only can you drop in for a quick bite of breaky, lunch, or dinner, but you can leave with a week’s worth of meals getting delivered right to your door that focuses on brain health, heart health, muscle health, or weight loss. 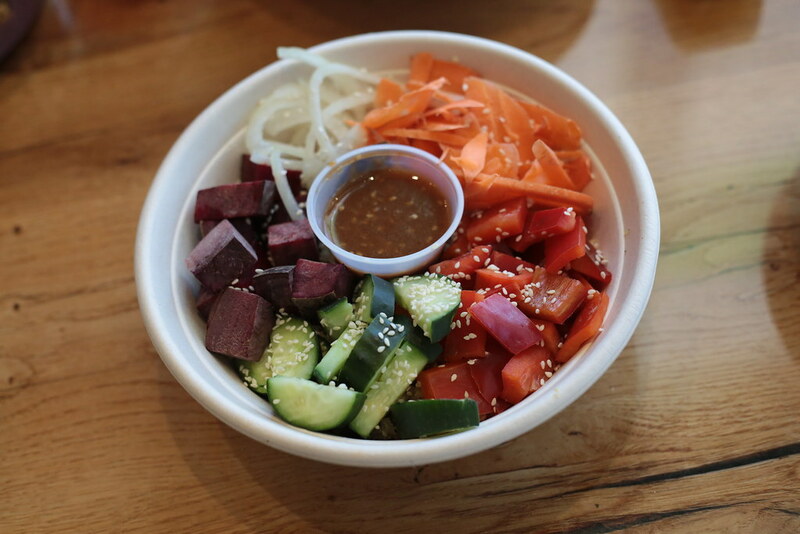 We tried a bunch of dishes and we aren’t totally sure it’s still healthy if you eat four healthy things in a row, but we felt great when we left. Maybe it’s because Sasha gifted us with a hangover fix juice filled with Coconut Water, Orange, Apple, Lemon, and mint, that we used post- Jane Walker, but we totally just felt healthy, you know? Their clean space invokes their clean eating mentality! Plus, it just looks pretty, which we are into. 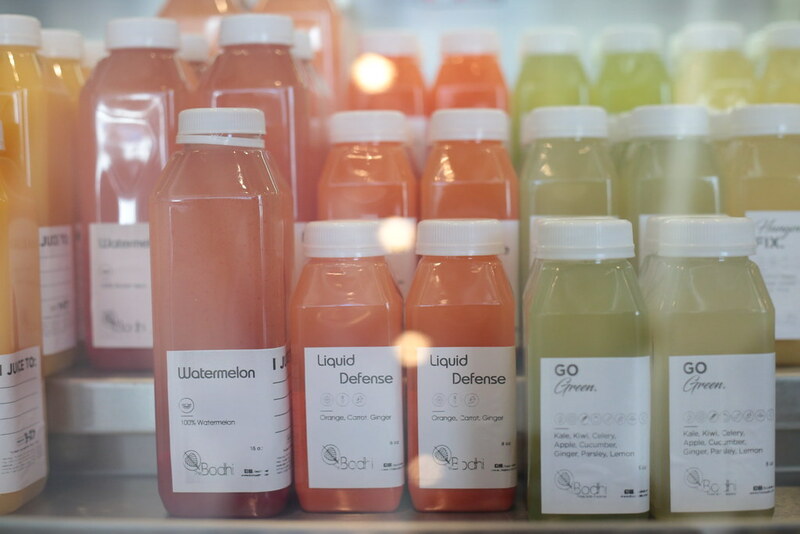 Also, that watermelon juice is open in the pic because we had a hard time resisting… then remembered we needed photos. Because like, that’s our job. 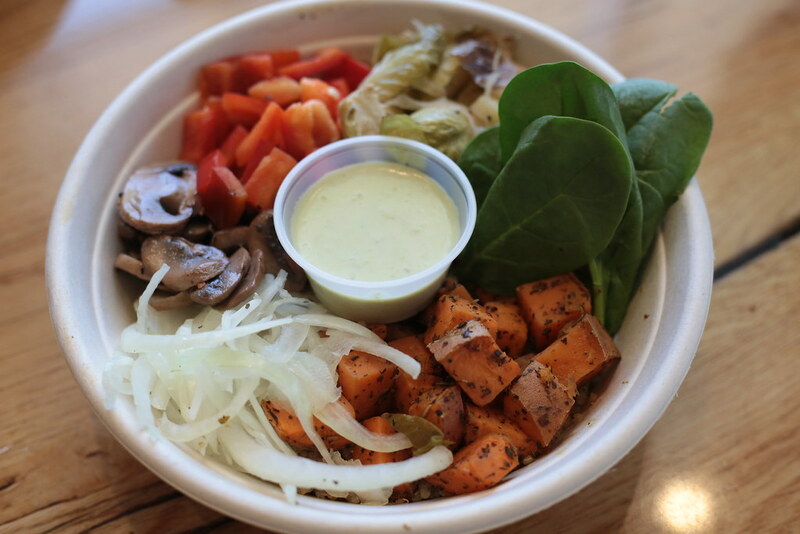 Their menu is an assortment of bowls, salads, and breakfast options. 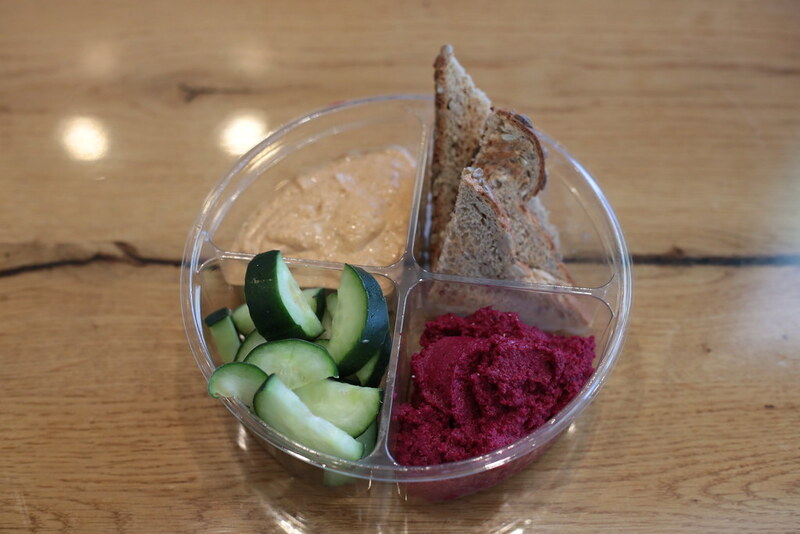 You can choose from their inventive menu board or create your own spin by mixing and matching proteins and grains with their hummus, dips, sauces, and nutrients (aka the healthy veggies). Sasha chose for us, delivering an assortment of dips like the spicy almond dip that tastes good smothered on everything and packed with protein (and no added sugar. at all. in the whole restaurant) and a tangy beet hummus with a totally addictive texture and beautiful color. 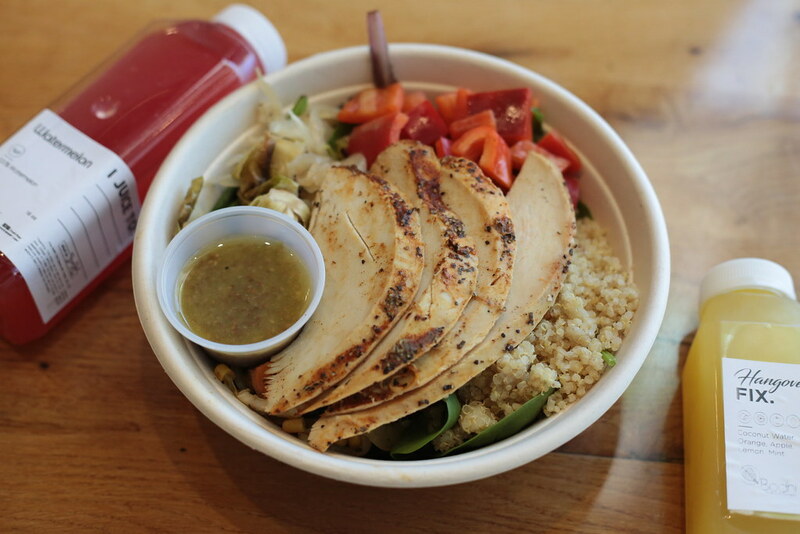 The bowls are hearty, loaded with flavor and good-for-you foods that make you feel like you can take on any task. You’re left feeling satisfied but not bogged down. Which is like, their entire goal. We were happy to have bites of the Asian bowl, a mix of Organic Quinoa, Cucumber, Red Pepper, Beet Mix, and Ginger Miso Dressing; The Mother Earth which mixed Organic Quinoa, Onion, Sweet Potato, Mushroom, Red Pepper, Spinach, Cucumber with Pesto; and The Fall Salad with organic quinoa, Brussel sprouts, spinach, bell pepper, and their creamy basil vinaigrette. 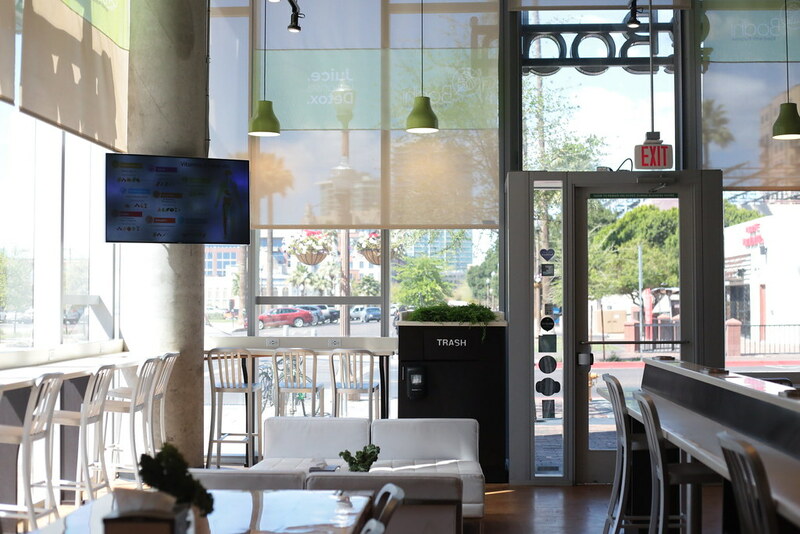 We ate for free and Sasha was so sweet and adorable, but that didn’t waver our review. 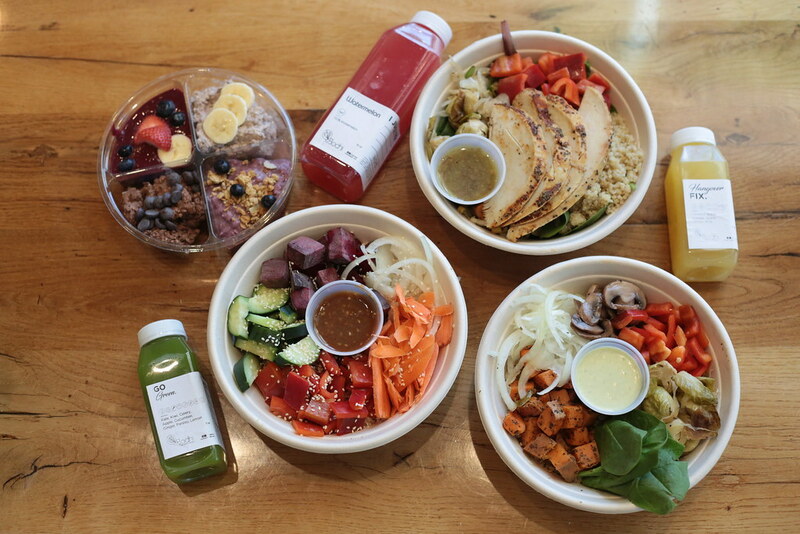 The food really is delicious and we love eating healthy. 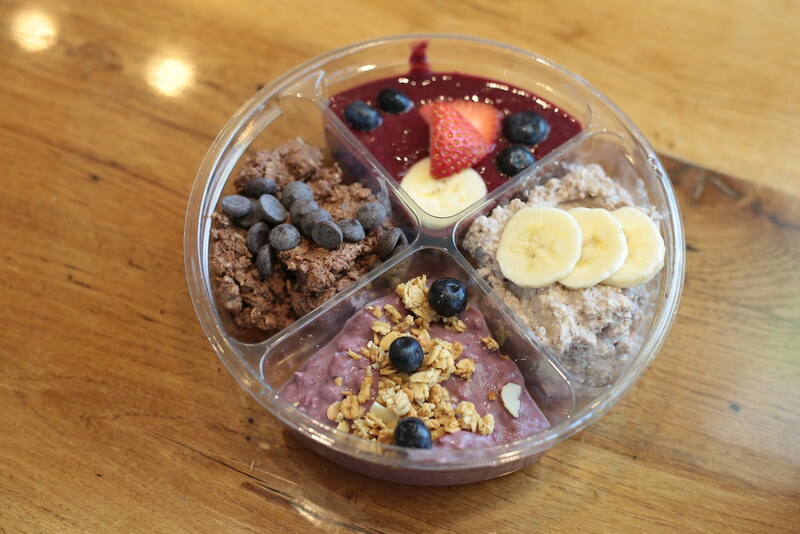 Plus, for real we can’t stop thinking about their amazing oatmeal.